I think the songs in this book are really good and funny.I think this book is amazing because it is all really creepy then suddenly it all gets really strange and creepy. I liked the book. My mum has read it to me. Roald Dahl makes the BFG talk a bit differently which I found a bit funny. I like the part when the giants are captured by the army. There is a cartoon movie version of it, there are some scary scenes so younger children might not want to watch the movie. A classic book. I could read this 100 times over and still want to read it again. 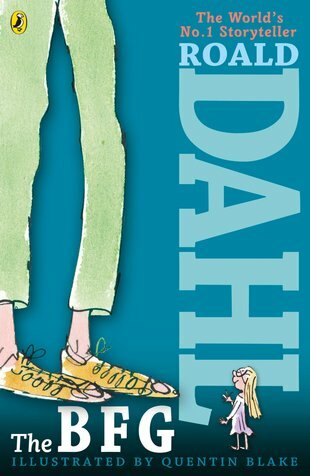 Giants may be gory, but in this book roald dahl shows that one, special giant may be different from the others. From help for Sophie, a young girl the big friendly giant captured, they ensure no more human beans will be gobbled up. I really enjoyed The BFG. It was such a funny book and I couldn’t put it down. I loved the way that it was written from a giants view of our world and their world, which are full of nasty horrible creatures unlike himself who is the only nice one in his world. Simply satisfying. This was one of my absolute favourite books when I was younger.It is a classic, a story i remember well from my childhood. Every child should be read this story.